A boat ride to the middle of the huge water body almost gives you the feeling of being in the middle of ocean. Plus, you can enjoy the views of ethereal beauty of nature along with different species of seasonal birds in the Bonpukuria Deer Park. With proper lodging facilities, Mukutmanipur can be easily reached and is a perfect weekend destination. Places to see at Mukutmanipur: You can board a small boat and enjoy the serene ocean-like beauty in the middle of the water body formed by the union of Kangsabati and Kumari River. There are some tiny rocky islands in the water which gets submerged in the rainy seasons. You can hire a motor boat and a van rickshaw to visit the Bonpukuria Deer Park nearby which is often flanked by varieties of seasonal birds. 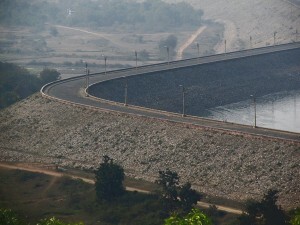 The entire length of the dam is 11 kms. 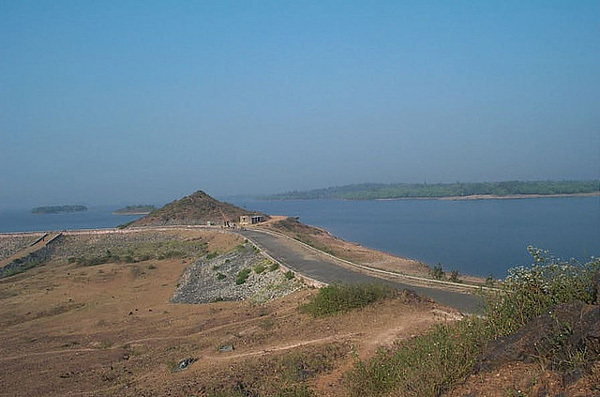 You can hire a trekker or auto rickshaw to travel over the dam top road for 6 kms to visit the confluence of River Kumari and Kansabati. This earthen dam was built with the sole purpose of providing irrigation facilities to agricultural land. 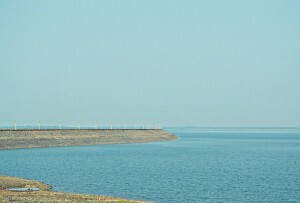 The dam measures 38 meters in height with a lake spanning 86 Sq km. 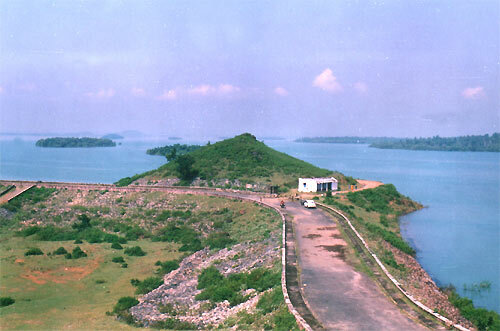 Thick virgin forest and verdant hillocks flanking the azure lake create a breathtaking view at the site. Owing to its splendid spectacle, the area has developed into an attractive weekend spot. 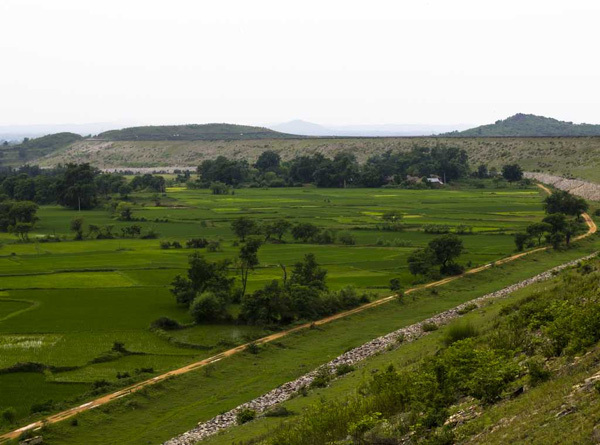 This colossal dam nestles 2 km away from the Bangopalpur Reserve Forest. The famous Bangopalpur Reserve Forest is the haven of different species of flora and fauna and is worth exploring. You will find the ancient town of Ambikanagar, around four kilometers away from the dam. In ancient time, this town was the pilgrimage center of the Jains. Remnants are still found at the site. The place also houses the Ambika Devi Temple, where shondha-arati (evening-worship) begins at 7 p.m. Set out early, so that you can also visit the Rajbari (king’s Palace) of Ambikanagar. Ambikanagar is also famous for its exotic tribal handicraft. Local tribes make wonderful handicrafts using bamboo sticks and grass, which you can buy as gift or souvenirs. A visit to the Bonpukuria Deer Park will allow you to watch some of the rare seasonal bird species. Among the places of interest in the town, the Palace of King Raicharan is also mention worthy. Nearby attractions from Mukutmanipur: Among some nearby places of attraction are the palace of King Raicharan, Parshwanath Tila and the Statue of Pareshnath. Pareshnath Hills have quite a number of stone statues on top of it. Another very important landmark near Mukutmanipur is Ambikanagar which is a very old centre of Jain culture. You can make a trip to Jhilimili from Mukutmanipur, another attractive tourist spot. 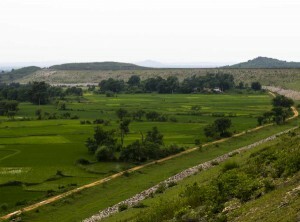 Cradled in nature’s bounty, the natural beauty of Jhili mili offer feast for the eyes. The place attracts hoards of tourists every year. Things to do in Mukutmanipur: This picturesque town of Mukutmanipur is a perfect place to leisure around. A small boat ride in the river is an excellent idea to enjoy the spectacular beauty of the surrounding. Moreover, a visit to the Bonpukuria Deer Park can help you see some rarest of seasonal bird species. Savor the local Bengali cuisines served at many eateries of the place. Enjoy drinking the authentic date juice, if you are visiting Mukutmanipur in winter. The exquisite Dokra and earthen work of the place is very famous and you can always buy them at pocket-friendly price. 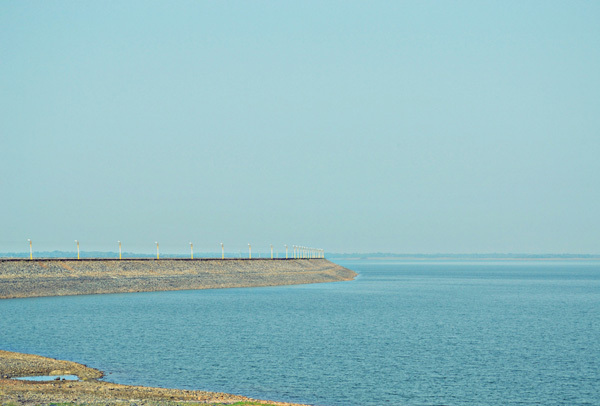 How to reach Mukutmanipur: The closest railway station of this destination is Bankura. You can board the Rupashibangla Express from Howrah to reach Bankura from where you can either take a bus or hire a car to reach Mukutmanipur which is only 45 kilometers away. By car, you can take left from Durgapur to reach Beliator which is 26 kilometers away, from where you should take the Bankura Bypass to reach Mukutmanipur via Khatra crossing. You can also take a direct bus to your destination leaving at 9 in the morning or 9 p.m from Dharamtalla in Kolkata. It takes around 7 hours from Kolkata to reach Mukutmanipur by bus. Best time to visit Mukutmanipur: You can visit Mukutmanipur during anytime of a year. 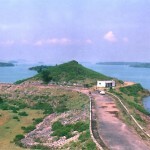 During the monsoon (July and August) the lock gates of the dam generally remain open. Lodging and dining facilities at Mukutmanipur: There are private hotels, resorts and tourism centers available for tourists. These places of stay also offer decent dining facilities. 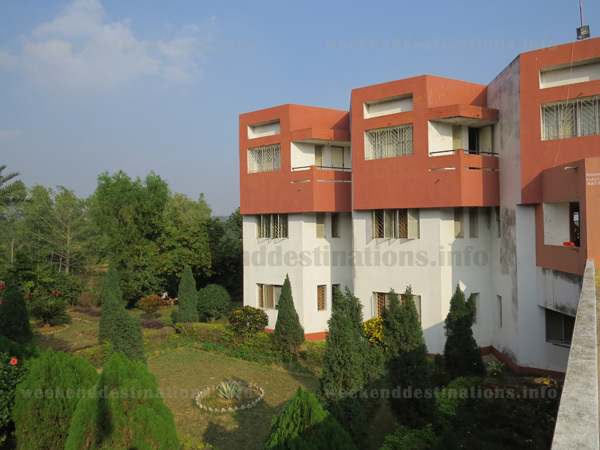 The accommodation at Mukutmanipur is equipped with facilities like bar, dining hall, lawn, gardens, 24 hour power supply, car parking and other standard facilities. The spacious and airy rooms are facilitated with attached western bathrooms, hot water geysers, wardrobes, TV, AC. There are double bed and triple bed rooms available at Mukutmanipur hotel. Photographs by Arghya Kundu, Pramit Ghosh, Aniruddha Sen, Arun, Paulak, Supratim.